My job is to introduce a new Moshi Monster to you each and everyday from Series 8 which are all being released on the 18th of October, yesterday I introduced you to Grinny the Persuasive Pusskins, now its time for day 5, and another brand new Moshling to introduce! Don't forget that one of you lucky people will have the opportunity at the end of the countdown to win a complete set of Moshi Monsters Series 8 characters right here on Unique Young Mum! 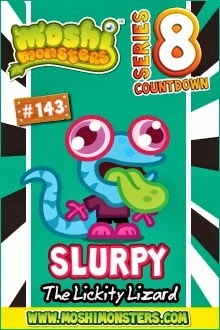 Slurpy is a potty, irrational, harebrained Lickity Lizard who likes crawling up the walls and dancing on the ceiling! Lickity Lizards are always pulling silly faces, leaping around like loons and gargling playground songs with dirty water! Slurpy like the other Lickity Lizards doesn't like mouthwash and houseflies! 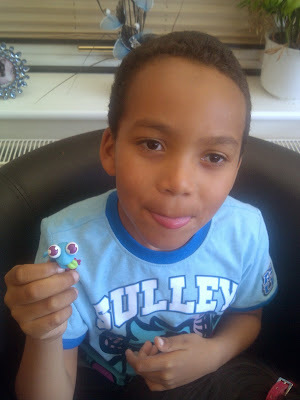 Me and Spud are so with him on the second one, they are invading beast! Slurpy has joined Grinny, Jackson, Blossom and Monty in the series 8 Moshling countdown and we can't wait to see what day 6 brings tomorrow! 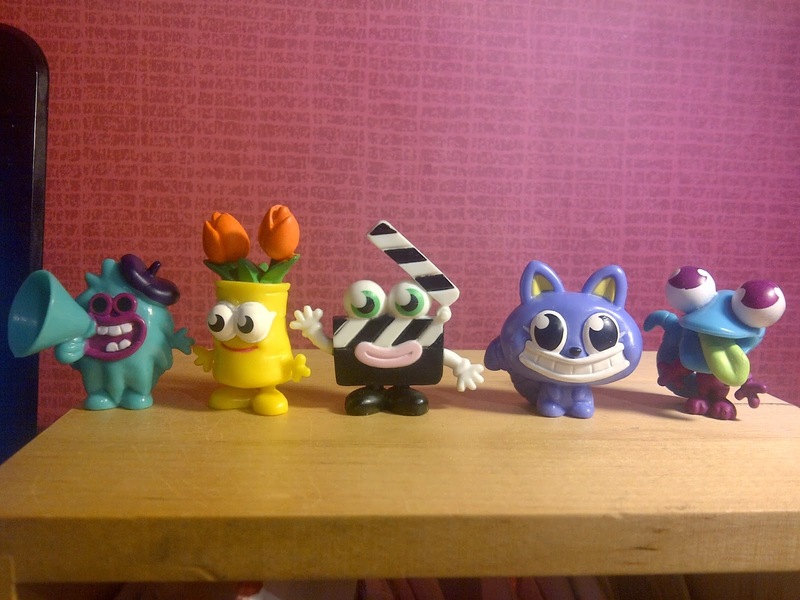 Do make sure you check back and don't forget the competition starting on the 18th of October for your chance to win a full and complete Moshi Monsters series 8 set!